Best friends Cliff and Jonathan are reunited when Jonathan returns home from combat. A newly-promoted first lieutenant, Jonathan finds his only stability in knowing that God is his Rock. As the two travel into the canyons to set up beacons, they are ambushed by enemy forces. After an act of bravery by Jonathan, Cliff becomes separated from the group. 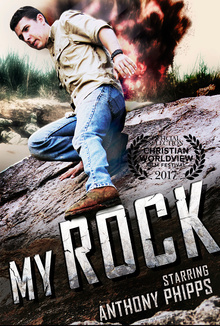 While he searches for help and fights off his attacker, Cliff must contend for his life and come to terms with what he truly believes. Will he be left to die in an uncertain moment of fear and despair, or will he trust in his God, his Rock?